The Lab Created Emerald Green Stones is considered to be one of the most popular gemstones of Lab Created Gemstones in the market like lab created ruby, lab created sapphire, lab created Alexandrites. Not everyone can afford to wear a jewellery with real emerald stones as a top quality real emeralds can cost upto $40,000 to $100,000 a carat. But most of the people can afford to wear jewelry with synthetic emeralds in it as you can easily find a top quality lab created emerald at FU RONG GEMS for below $100. 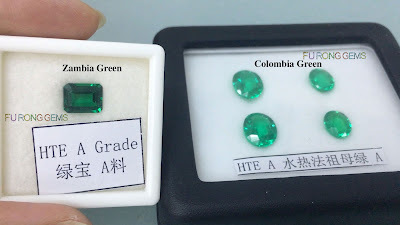 And Lab Created Emerald Green it's the best substitute for the Natural Emerald Green Gemstones, http://www.frgems.com/lab-created-eme... FU RONG GEMS supply high quality of Lab Created Emerald Green Gemstones wholesale at factory direct pricing from China Suppliers and Manufacturers. Zambia Emerald Green, Another is Colombia Emerald Green. Quality Provide: VVS and with inclusions. Shapes: As per you requested. We can make this Lab Created Emerald Green Stones in other fancy shapes, such as oval, pear, etc.. Contact us today, to get the high quality Lab Created Emerald Green Stones wholesale at factory direct pricing from china suppliers for your jewelry designs. 0 Respones to "Lab Created Emerald Green Stones China Suppliers and wholesale"